What Horror Movie Taps into Your Greatest Fear? Looking for a scary movie to watch this Halloween? With so many to choose from, it can be tough to find the perfect one. Why not try looking for a horror movie that spooks you right down to the very core of your personality? Here’s a look at the greatest fears of each of the 4 major DISC personality types, and the horror movies we think most perfectly tap into them. The Mist, released in 2007, is a monster movie that consistently makes it onto lists of the top horror movies of the past 20 years. Why? The movie had a pretty low-budget. Most of the major special effects are largely unseen, obscured by fog. No big name actors are in it. So, why is it so lastingly popular? One of the reasons the movie has stood the test of time is because it very effectively exploits our fear of the lurking unknown. 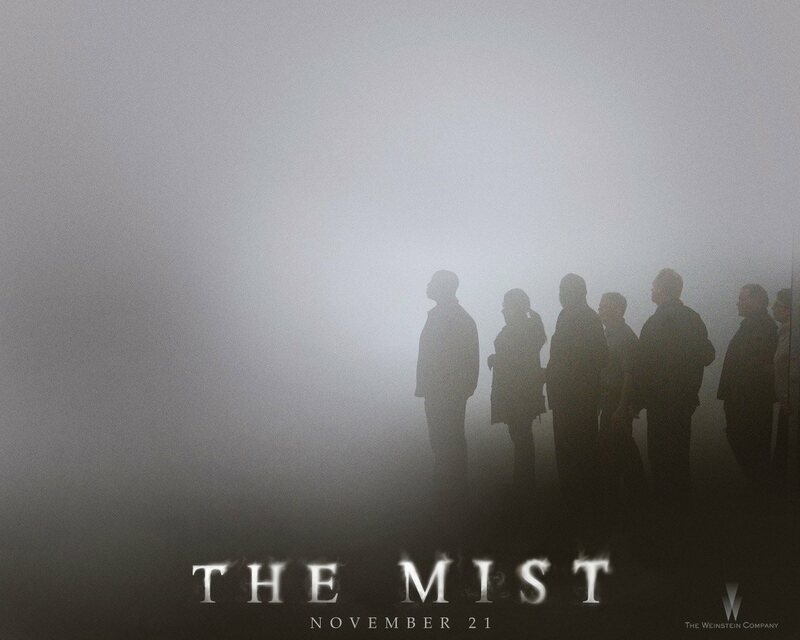 The Mist also puts our most primal survival instincts to the test, providing a terrifying look at the kind of obstacles even the most competent leader will face in extreme circumstances. For D personalities, this comes together to create a movie that is particularly haunting. The Mist gets special bonus points for its twist ending, where David allows a fellow survivor to talk him into a decision that has irreparable consequences, destined to haunt him forever. Talk about a D’s worst nightmare! Mary Shelley’s Frankenstein has long been one of my favorite books. Did you know that in the original 1818 version, nearly half of the text is written from the monster’s perspective? The monster, who is never named and is rejected immediately after “birth” by his creator, shares long monologues letting readers see the world through his eyes. Seeing things from the creature’s perspective, it’s clear that the pain he feels from being isolated from humanity is what eventually drives him to seek murderous revenge. The movie that best captures the horror and the sadness behind the monster’s rejection is Kenneth Branaugh’s 1994 version, where Robert DeNiro plays the monster driven to murderous ends after being ostracized by humankind. In this film version, it’s especially heartbreaking to witness the monster’s journey-- All he wants is to love and be loved. Because of his appearance and the reaction of a cruelly judgmental society, that is impossible. Everywhere the creature goes, there are angry mobs looking to destroy him. Even innocent children reject him. Blind men, run in terror never to return. No kind gesture is returned. No amount of sacrifice on the creature’s part is enough to erase the horrors of his face. If you have an I-style personality, the monster’s fate is especially heartbreaking. I personalities love nothing more than being around people, and have an innate desire to be embraced and accepted. To isolate and shun an I would be the worst possible fate imaginable. 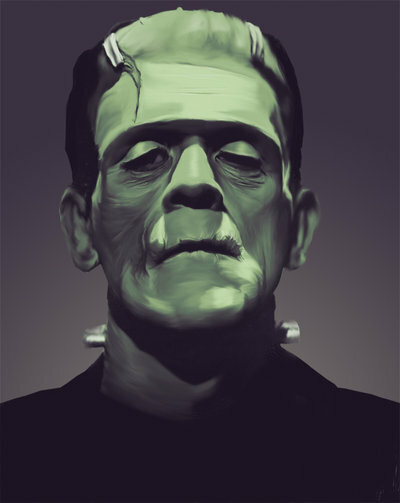 In many ways, the story of Frankenstein is an I personality’s worst fear come to life. The famous climatic scene of The Shining shows the main character, Jack Torrence, breaking through a bathroom door with an axe, tormenting his cowering family while screaming “Heeeeere’s Johnny! !” It’s a terrifying moment, one made even worse by the realization that this isn’t a random predator breaking in to menace a woman and small child. It’s a man they both love and trust—The father and husband they counted on to keep them safe has become a monster, changing everything they knew about their family irrevocably and forever. Once the people you trust turn on you, there is no stable ground to stand on, no return to normalcy. There are so many things about The Shining that taps into an S personality’s greatest fears: The dissolution of the traditional family, the complete and utter isolation of the setting, the dawning realization of their increasingly dangerous situation. There’s nothing an S personality fears more than change an instability, and The Shining is all about watching a family have everything in their lives turned on its head, and everything they thought to be true come crashing down around them. Nothing is as it seems. The hotel, so welcoming on first visit, becomes a malevolent entity. Jack Torrence loses everything. He sees it all crumble right before his eves: His job, his family, his sanity. What’s worse, he’s the catalyst for all the destruction around him. For an S, what could be scarier than that? You’ve checked all of your calculations obsessively, kept meticulous research logs, and devoted every waking hour to the creation of a machine destined to change the world forever. You’ve created a teleporter, one you believe will revolutionize how mankind conceives of transportation. Sure, you’ll likely be rich beyond your wildest dreams, but most importantly, you’ll be recognized for your genius and ingenuity. Your name will go down in history. Unfortunately, despite all of your best efforts, that’s not what happens. Your normally controlled and precise nature wavers for just a split second. You’re close to a breakthrough and your excitement gets the best of you. You decide to run a human test. What better subject to test it on than yourself? During the transportation process, a tiny fly gets into the machine without you noticing. How could you have been so careless? But never mind. The machine works! For a while, all seems well. Until things begin to fall apart… Literally. Your controlled, intellectual self gradually dissolves right before your eyes. As your DNA is fused with the DNA of the interloping fly, you begin to change. You transform into a half-human/half-insect creature, losing everything. Your body, your mind, even your humanity is gone. This is how it falls apart: Complete and total loss of control, irreversible in its damage, built on the back of a microscopic mistake. What’s the moral of the story? Perhaps it’s that you can’t control everything, no matter how hard you try. And once things start to spiral out of control, sometimes there’s nothing that can be done to repair the damage. For a C, this is terrifying—The idea that something so small could slip your attention, and then have devastating consequences for the whole world to see. For a C, confronting the reality of their own organizational failure might be the greatest horror of all.